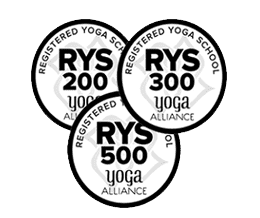 List of Indonesia based yoga teachers (RYT 200, RYT 500, ERYT) registered with Yoga Alliance offering 200 & 500 hour yoga teacher training courses and retreats in Jakarta, Kerobokan Bali, Jakarta-Bali, Kerobokan Bali, Canggu Bali, Ubud, Yogyakarta, Ubud Bali, Padangtegal Ubud, Kuta, Jakarta Selatan, Bogor, Denpasar, Slipi-Jakarta, Bali East, Shangrila Oceanside Retreat & Spa, Bali. Dini is a native of Jakarta who has been practicing yoga for over 15 years. She was originally drawn to yoga as a form of a peaceful exercise for mind and body. She studied a variety of yoga including Power yoga, Jiva Mukti, Synergy Yoga, Vibrant Living Yoga, Iyengar, Vinyasa, Sun Kids Yoga, Yin Yoga, acroyoga and Ashtanga. lami means natural and with Yoga i will achieve for my students a certain level of meditation, focus, discipline, balance, flexibility, brain flexibility, spirituality, stress release. If necessary i will help my students with Crystal, Sound Healing. I am experienced in Hatha Flow, Vinyasa Flow, Prana, Yin Yoga with 200-hour RYT (registered yoga teacher) with Yoga Alliance. She has lectured and taught in many parts of the world on Yogic Philosophy, Tantra, Ayurveda and Kundalini and gratefully enjoys teaching Ashtanga, Hatha, Yin and Tantra classes and workshops currently at Desa Seni (canggu, Bali). Angela is a Yoga Alliance internationally certified. Everett is currently devoting his efforts to the sharing his own synthesis of yoga known as Zuna Yoga®, which he shares through workshops, trainings and retreats internationally. His exploration of Yoga Tantra, Hatha, Anusara Yoga®, Kundalini, Vinyasa, Taoism and more. I am a registered yoga teacher with the international Yoga Alliance (E-R.Y.T 500), a certified yoga therapist both from India and USA, as well as a spiritual healer. I am also a Certified Yoga Therapist (C-IAYT) with The International Association of Yoga Therapists. I teach Yoga Pranala a combination of Asana, Pranayama, Meditation, Mudra Pranala(Balinese qi gong) and Yoga Nidra to students in either English, French, Indonesian or Mandarin. She learned yoga with many styles, such as Vibrant Living Yoga Teacher Training (RYT 200), Iyengar Yoga in Bali, Anusara in Singapore, Jivamukti Yoga, Tripsichore Yoga & Balinese Yoga. She was certified by Iyengar (Pune) in January 2011, got RYT 200 in 2007, E-RYT 200, E – RYT 500, certified for Acrovinyasa Yoga Teacher in 2016.